Dr. Bando is originally from Westlake, Ohio. 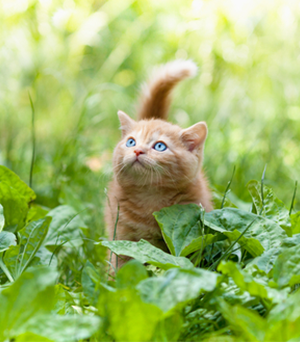 Growing up, he realized from a young age that he wanted to be a veterinarian. He attended The Ohio State University for both his undergraduate and professional programs, graduating from The College of Veterinary Medicine in 2005. He worked in several small animal practices in the Columbus area before purchasing the Berwick Animal Clinic in January of 2012. He has a strong interest in medicine, soft tissue surgery, and orthopedic surgical procedures. Dr. Bando lives with his wife, Devon Horne, who is also a veterinarian. They have a rescued French Bulldog named Ollie. 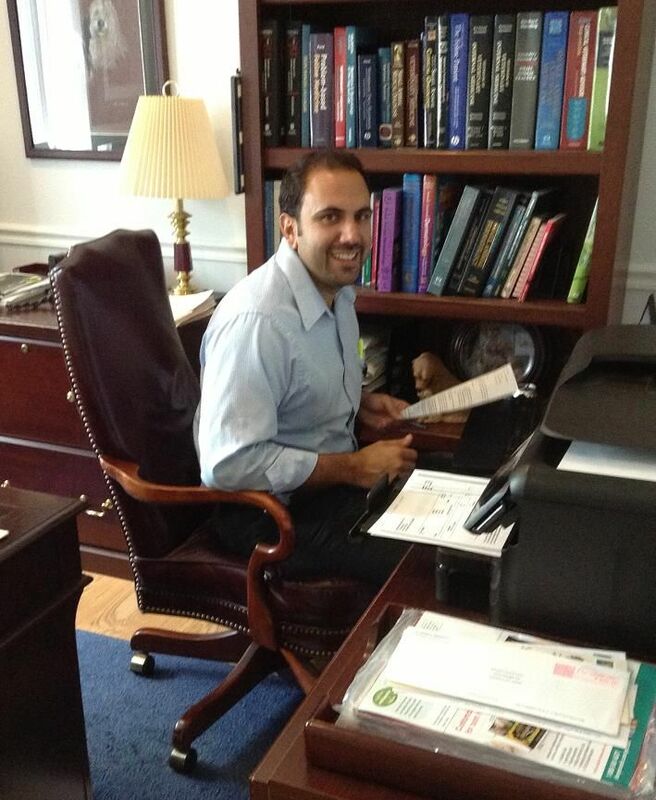 In his free time, Dr. Bando enjoys travelling, barbequing, and spending time with family and friends. 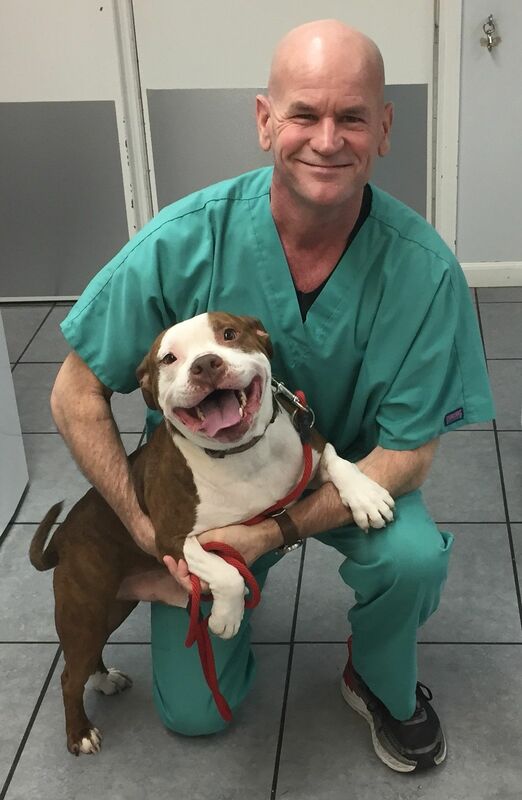 He looks forward to serving the patients and clients of Berwick Animal Clinic. Dr. Huter grew up in Cleveland, Ohio. She graduated from Ohio University in 2002 and taught high school math for 5 years in California. 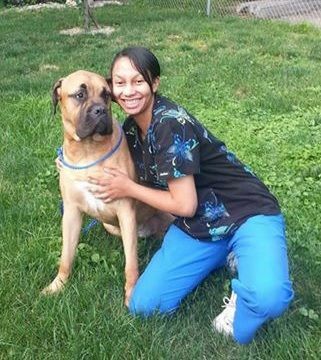 She returned home to pursue a career in veterinary medicine. She graduated from The Ohio State University College of Veterinary Medicine in 2015. 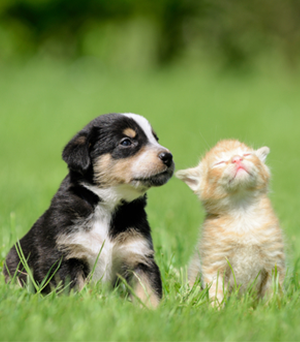 Dr. Huter has a strong interest in dermatology, surgery, and most importantly, building lasting relationships with the clients at Berwick Animal Clinic. She joined Berwick Animal Clinic in May of 2015. Dr. Huter has 3 dogs (Sam, Evie, and Chloe), one cat (Bob), and a 3-legged guinea pig named Bacon Bit. She enjoys cooking, baking, and road cycling. She has been participating in Pelotonia since 2013 and is a proud member of Team Buckeye. Being a Cleveland native, she is a big fan of the Indians and Browns. 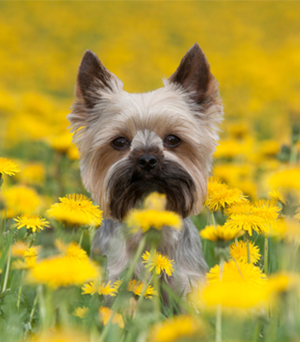 Dr. Huter is very excited to join Berwick Animal Clinic and looks forward to serving you and your furry family members! Dr. Haver is originally from Lima, Ohio and attended The Ohio State University. He graduated from OSU College of Veterinary Medicine in 2011. After graduation, he moved to North Carolina for 5 years, then returned back to Ohio in 2016. 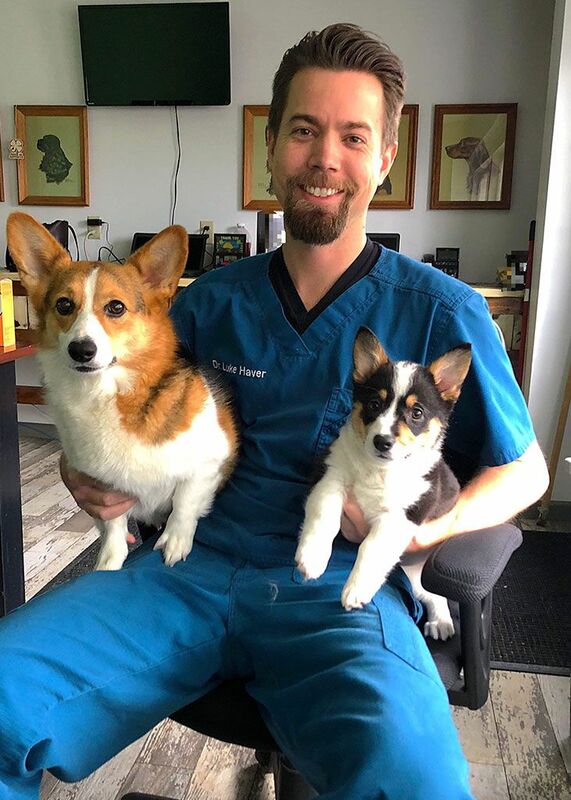 He specifically enjoys internal medicine and dermatology and takes great pride in practicing high-quality medicine while personalizing each pets care. He lives with his wife, Gina, and their two Pembroke Welsh Corgis, Zaya and Luna. He has had two other very special Corgis in the past and loves the breed. He enjoys being outdoors, attending car shows, watching football, and spending time with family and friends. 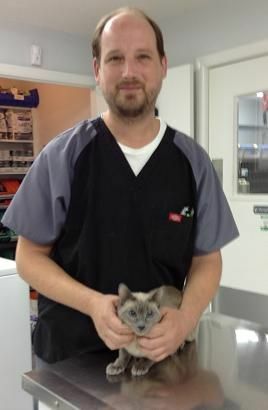 He looks forward to being an integral part of Berwick Animal Clinic, and to taking care of the pets in Bexley and the surrounding area. Mike comes to us from out of the blue – his previous career was as a Flight Engineer with the U.S. Air Force. He spent 22 years in the military, and was able to see a good portion of the world. 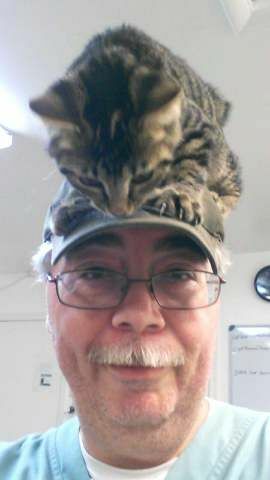 After retiring, Mike volunteered at several local shelters, and found that his new passion was working with animals. He started with us in 2014 as our receptionist, became our office manager in 2015, and in 2017 was happy to become our practice manager. Mike and his wife Tammy have a varying amount of rescued dogs and cats. He still volunteers by fostering shelter animals, enjoys training for boxing, and is pursuing his business degree. Michael started his career in the animal care field at Pilot Dogs, which is an organization in Columbus where guide dogs for the blind are trained. After receiving his degree as a Veterinary Technician from Columbus State Community College, he joined the Berwick team in 2002. He enjoys a good conversation, and will happily discuss anything you would like to know about your pets or his! At home, Michael shares his home with a dog, four cats, and several fish. When he is not here at the clinic or tending to his animals at home, he likes to cook, garden, and practice his piano skills! 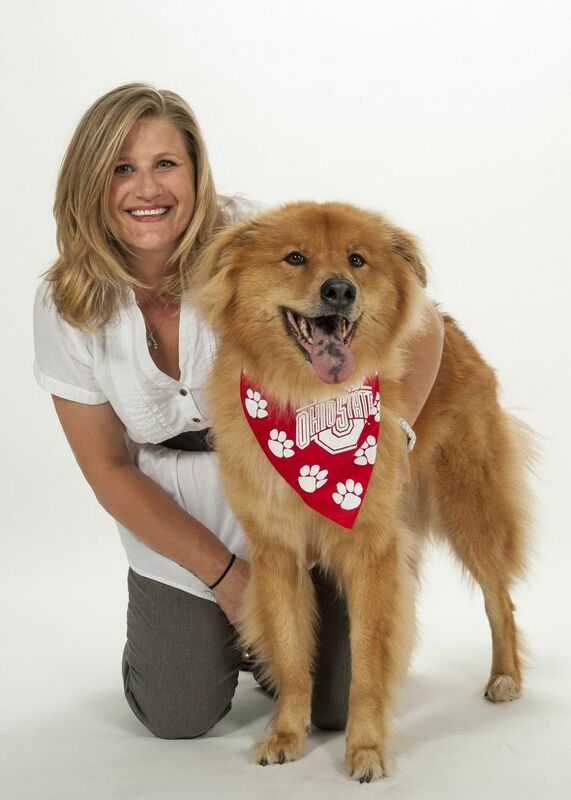 Jackie is a graduate from CSCC Veterinarian Technology program, Class of 04. She joined the Berwick team in 2005 and has since perfected her teeth cleaning and dental radiography skills here. 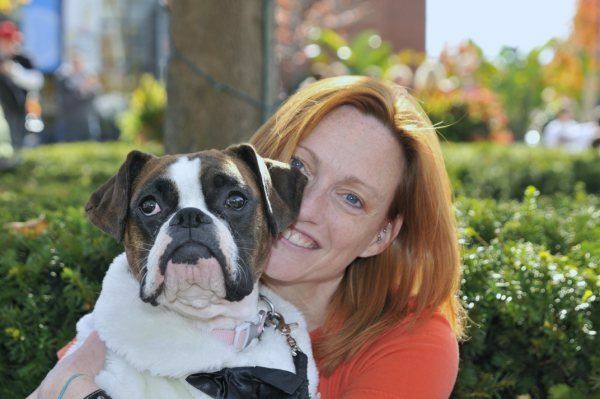 We are excited to mention Jackie received her license and became an official RVT in April 2015! 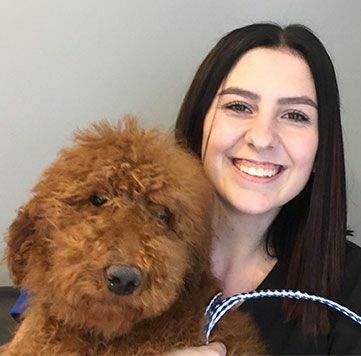 Sierra started here after her internship with us in April of 2012 shortly after graduating from CSCC with her degree in Veterinarian Technology. She later went and got licensed and registered through the state for her degree. As part of the program at CSCC she was able to do an internship up at OSU Veterinarian Hospital in Anesthesia, Large Animal, Radiography, Oncology/Blood bank, Food and Fiber animal and Equine medicines. 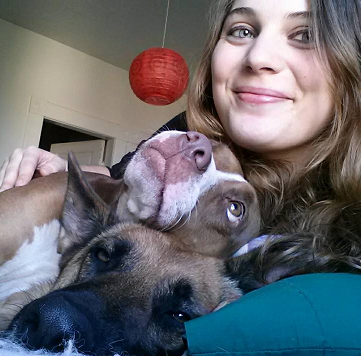 Sierra lives with her two dogs, A German Shepherd named Elizabeth and a Pittbull named Skye and her cat Tommy. Mary started here as a technician with Dr. Rohr in 1991. She was here when Dr. Kidd bought the practice, and only left for a period of time as her family grew to include two daughters. She came back to help during surgery hours and on the weekends. Noel has always loved animals - for her, there was never a career option that did not involve working with animals. She is originally from Bellevue, and came to Columbus to pursue her goal to become a Veterinary Technician, graduating in December 2018 with her degree. Noel has a Boxer named Roxy, a Peakapoo named Angel, and a Siamese cat named Aspen. When she's not studying for her Veterinary Technician certification board (she's taking it this spring), she enjoys drawing, painting, and music. Joe is our full time Kennel Technician. While your animals are being boarded here he is the one who is feeding, medicating, cleaning and spending time with them in our kennel. He gets to know each one, and will happily let you know how their stay went when you come to pick them up. Joe and Tracy have been married for 15 years and live together with their three cats and their one Husky/Pekingese mix Layla whom he rescued from one of the rescue groups we work with. 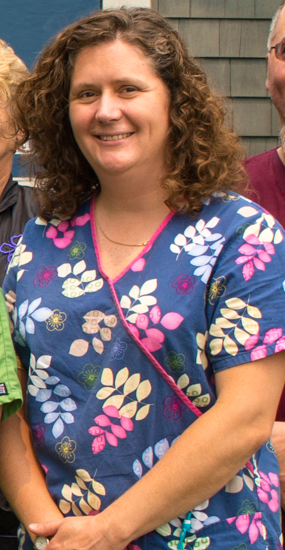 Tammy has been volunteering with us since May of 2012 – you may see her on Saturdays or the occasional weekday. She’s originally from Los Angeles, and moved to Ohio in 1993 to work for Limited Brands. In 2002 she started volunteering at a local animal shelter, where she discovered her passion for veterinary medicine and animal rescue. 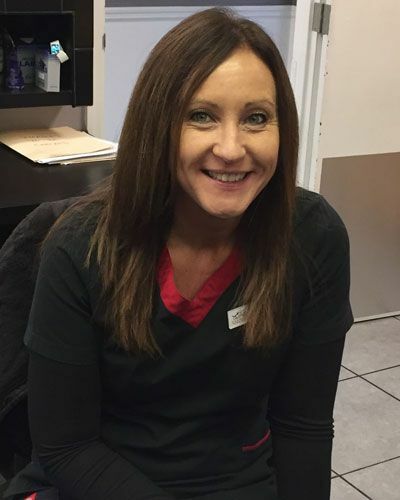 Tammy wanted to become more knowledgeable as a volunteer, so she attended Columbus State Community College to achieve her goal of becoming a Registered Veterinary Technician, which she became in November of 2010. She works full time as a Store Inventory Planner during the week, and on weekends can be found working as a Vet Tech for Columbus Humane, volunteering with us, or training for an upcoming marathon! Her dogs and cats (the number, breeds, and ages vary) are adopted from either a shelter or a rescue. She also has a love for Alpacas and volunteers on an Alpaca farm when she has the chance. Nickole joined our front desk staff in 2018. She is originally from Gallipolis, Ohio, and moved to the central Ohio area after graduating high school to pursue her business degree. Nickole and her husband George have two children. They also have three rescue dogs (from one of the rescue groups we work with! ), a cat, and a turtle. Nickole has volunteered for many years with animal shelters and rescue groups.